Those of us who work from Colorado are loving fall in the Rockies these days. Some will say that our golden Aspens don’t compete with the red, orange and purple of autumn in the North East. That may be, but the colors here this time of year are nothing short of astonishing. 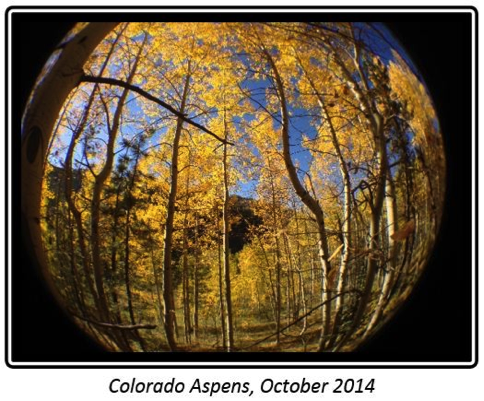 Maybe it’s the high-altitude deep blue sky that contrasts with the blinding yellows of Aspens in the sunlight. Maybe it’s the “quaking” of the leaves. Perhaps it’s because we know that the gold won’t last long that many Coloradans make the trek into the mountains to see the big stands of Aspens every October. As we rejoice in marvels of our Father’s creation, we also rejoice in what he is doing to build his church… and in the part he allows Paraclete to play in that work. This is an active time of the year for associate travel. Paraclete associates are ministering this month in Western and Eastern Europe, Central and East Asia, Africa and the US! God is at work in all of those places. Here’s an example of how he used one of our longest-serving candidates, Carey Childrey. This encouraging word comes from an pastor who took Carey’s evangelism and apologetics course last year at the Asian Christian Academy (ACA) in South Asia. “Just coming down to ACA on the train, I met three men with their reasons for being opposed to Christ, but because of your equipping us as students, I was able to talk with them.” – Sadhu. Celebrate that with us! Become a serving or giving partner with us!